Founded in 2011, with the only objective of offering management education of the highest quality, today Greenway Institute for Management Studies has become the centre of excellence in value-based training, management education, and research. The institute helps to exposes the students to all facets of the economy and to its several aspects like societal values, environment, and human right system. From the time of its existence Greenway Institute of Management studies (or commonly referred as GIMS) has been committed towards retaining flexibility and awareness to management requirements. The institute is keen to develop future’s business leaders by integrated education and industry intellectual partnerships. GIMS (Greenway Institute of Management studies) is associated from Uttrakhand Technical University to impart undergraduate/ graduate programmes in the field of Management at the campus. The institute trusts in holistic growth of the students and their involvement in academic program which brings in them the ability to work smart & hard, grow high thinking, take appropriate decision in critical situations, and professionalism. It possesses very skilled and innovative faculty that holds experience of foremost national universities and senior corporate positions. Its entire teaching staff plays a significant role in directing the varied educational and non educational activities of the institute. 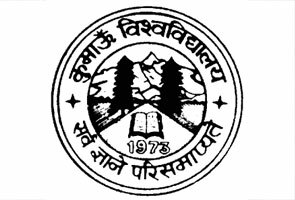 GIMS has received affiliation from Uttarakhand Technical University, (UTU) to provide undergraduate courses in the field of Management at the Undergraduate level at the Campus. The GIMS follow norms and policies of UTU for the syllabi, lists of recommended texts, study material, case studies and business games for the particular study programs. The Greenway Institute of Management is recognized from University Grant Commission (UGC) for offering best Management studies in BBA, BJMC, BCA field among the students in Uttarkhand. The Greenway Institute of Management studies (GIMS) provides wide ranging courses to the students with a responsiveness of the broad range of knowledge needed in up to date management, and furnishes them with focused information to adapt the degree to meet their own individual requirements and professional plans. The course visions at developing the logical and behavioral skills between students required to make an effective use of knowledge after commencement. Greenway Institute for Management Studies (GIMS) in Roorkee also provides distance learning post graduation courses such as Part time MBA for the working professionals & students. For getting admission in GIMS, Roorkee candidate must have qualify 12th examination with relevant percentage and they have to pass an entrance exam conduct in GIMS campus. the institute possesses a fully equipped, well designed, up to date and spacious class rooms smudge GIMS modern culture. 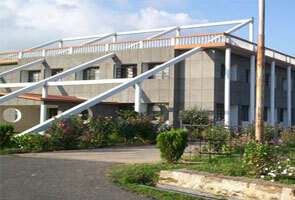 Its Class Room area has airy and large Lecture Halls. Each and every class room equipped with LCD projectors, over head projectors for better use of faculty and students. All the classrooms have air-conditioned facility with diverse seating capacity. The Campus Library is the key Resource of Knowledge for the educational Community. In fact, the environment of the library reflects the quality of the education given by the institute. GIMS is familiar with the meaning of the academic ambiance required in the library and it has been rising in this direction, right from its inception. 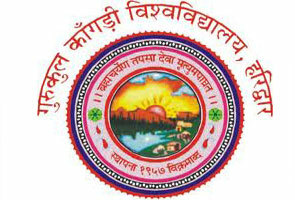 Computer Laboratories: the college has well designed and equipped computer lab facility for the students studying in its campus. For rationalized graphic and suppression work, computers and workstations with necessary software have been configured for professional editing. The computer labs at college are equipped with mechanical terminals with flat monitors. All the computer labs are internet enabled and students are allowed personal server space for their work. In the lab all the computer devices are updated with the latest software that is required by the students. The entire campus is in a Wi-Fi region. In the college canteen exciting aromas have been drifting over the sanitary & hygienic sitting area. The striking ambiance is spacious, fresh and hospitable and has been tactically built observance in mind all details for the ease for students as many of them had come from distantly places to make them feel back home. GIMS has male & female security guard for security and safety. Besides this the entire college is covered by cameras. GIMS’s placement cell is quite impressive. It has been a consistent topper in the list of placement records amid private institutes in India. The college is proud that its graduates are majorly selected by employers from big industries and commerce in the public and private sectors. Offering knowledge, advice, support and guidance for job-seeking students, the institute has gained huge success and fame. The Training and Placement Cell is offered with a well-appointed conference training rooms and well-furnished rooms for interviews and candidate counseling. The faculty members of GIMS are best known for their energy and education, educational achievements and teaching abilities and commitment to duty. If you have any issues, queries or want to know more about Greenway Institute for Management Studies 2015 Admissions, 2015 Results and other important info related GIMS Exam Dates 2015, you may contact at below listed official contact details of GIMS.